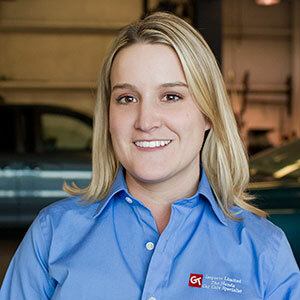 Since 1990, GT Imports has been a Triad leader in Independent Honda & Acura service and repair. From our early beginnings on Griffith Rd in Winston-Salem, to our larger facility on Commercial Park Ct in Clemmons, NC it has always been the goal of GT Imports to provide excellent service and repair to the owners of Honda & Acura automobiles. GT Imports is an Independent Honda & Acura Service and Repair facility. We are not affiliated with American Honda Motor Company or its dealership network. As word of GT Imports spread, it quickly became apparent that our old facility was simply too small to support the growing business. In 1995 GT Imports built the new, more spacious facility that we now enjoy. We are conveniently located in Clemmons, NC just off of Interstate 40 in Clemmons Executive Park. GT Imports would be pleased to assist you in all you Honda & Acura Automobile needs. We offer the full range of Preventative Maintenance Services, Minor to Major Repairs to all the systems of your Honda product. Please give us a call to discuss your repair needs or to make an appointment. John is the owner and founder of GT Imports. Prior to this, John was a service technician and service advisor at Flow Honda and Flow Hyundai. He also operated a successful Snap-On mobile tools distributorship before deciding to open GT Imports in 1990. He also loves working as a youth leader at church. Look familiar to you? You may recognize him from his brief presence on the cast of the Discovery Channel’s “Naked and Afraid” with celebrity co-star and tennis champion Serena Williams in the summer of 2012. Elaine and John have been married for over 30 years. She is the happy mom of Sabrina and Johnny and also the adoptive mom of her dog, Ginger and three kitties, Biff, Bobby and Ming Toy. Elaine’s main passion is her volunteer work doing animal rescue with Forsyth Humane Society. A little-known fact about Elaine is that she used to be 6’ 2” tall. It was only when she was in her late 20s and in law school to be a police officer that she decided to have correction of unequal bone length surgery on all 4 limbs and her torso. The only bones in her body that are their original length are her toes, which she conceals with Timberland hiking boots. GT Imports has been fortunate enough to have Charles’ invaluable help for over fifteen years now, first as a technician, then as a service advisor, and now the shop manager. He is an associate pastor of his church and the proud father of two wonderful sons and also of King, the family’s German shepherd. Charles is an amazing self-taught bass guitar player, though he will never concede his true level of mastery of the Ohe Hano Ihu (more commonly known as the Hawaiian Bamboo Nose Flute). The first time he played for the shop, we became collectively overcome with emotion at its angelic beauty and wept together for 15 minutes. Daryl doesn’t like bios. He spends the majority of his energy avoiding all documentation of his existence, in fact. Photos of him are said to be as rare as those of the Sasquatch, and the few that have been recovered were sold for millions at Sotheby's auction house in London (any duplication or reproduction of Daryl’s photos from this website is illegal, and will be met with full legal recourse from his staff). Jarrod has always been a “car guy,” however it was the professional wrestling industry from which GT was able to poach him. An 8-year career of going 50 and 0 allowed Endomorph (his former wrestling moniker) to end his reign and retire in a sea of glory. He decided then to shed 120 lbs and join the automotive industry. He also likes to photograph plants, animals, and cars! Every enterprise needs someone to keep things in order. Corry is pivotal in the GT Imports organization as the shop’s bookkeeper and office manager. GT has been fortunate enough to have Corry’s invaluable help for the past fourteen years. Corry has a variety of hobbies. She loves to eat lemons, collect dinosaur figurines/books/posters, and in her spare time, practices amateur dentistry. Johnny has been working at GT since he was old enough to pick up a wrench. Changing oil as a summer job while in school, he is now full-time at GT, doing marketing, inventory, and/or service writing. Outside of work, he runs a complete at-home operation of manufacturing colored pencils and blackboard chalk for the Saskatchewan Rivers School Districts 4, 13, and 119 in Saskatchewan, Canada. He hopes to soon pick up contracts in the Northwest Territories, but we find that doubtful because virtually all of his consumer feedback has been negative. Marc is ASE certified and has worked on motor vehicles for over 25 years. He is a retired Army veteran and he and Missy love to ride his motorcycle on the Blue Ridge Parkway. Marc has won over two dozen hot dog eating contests in 11 states, and takes off of work as a technician from January-March every year to train exclusively, somewhere in western Montana. Before GT, Jeff was a full-time ice cream truck driver in the suburban neighborhoods of Fairbanks, Alaska. Quickly into the job, demand increased much faster than he could sustain. Jeff leveraged himself both mentally and emotionally by purchasing 2 additional trucks and running almost 20 hours per day. For 12 years he lived on fudge pops and only 3 hours of sleep. In 2015, he turned a new chapter in his life and came to GT, and has been a phenomenal technician. However he claims that to this day, he hears the ice cream truck jingle in his head 24 hours a day. It is his cross to bear.